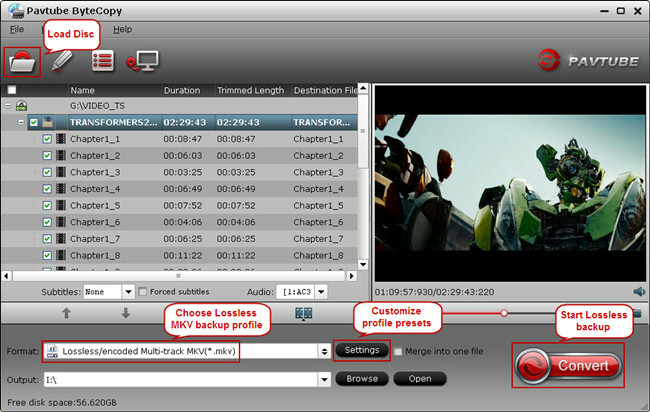 Answer: Lossless BD/DVD backup with Lossless/encoded Multi-Track MKV presets in ByteCopy copies your original BD/DVD to MKV without quality loss, which means you would get almost same video quality from original BD/DVD to saved MKV files besides all or multiple audio tracks, subtitles, and chapter markers can be preserved; while profiles under HD Media Player category in Pavtube ByteCopy are specially designed for HD media players such as Popcorn Hour, WD TV Live Hub, HDTV, etc to transcode your BD/DVD movies to H.264 MKV since these HD devices are better compatible with MKV by using H.264 codec, meanwhile you could reduce file size to maintain the balance between created video size and video quality. How to Lossless backup/transcode BD/DVD movies to MKV using Pavtube ByteCopy? 1. Click the “Load Disc” button to load your source BD/DVD disc from disc drive, or import BD/DVD ISO image, BD/DVD folder, and DVD IFO from computer hard drive to Pavtube ByteCopy. 4. Hit the “Convert” button on ByteCopy main interface to start backup BD/DVD to MKV with lossless quality. 1. Load your source BD/DVD movies to Pavtube ByteCopy. 2. Select profile under “HD Media Player” category for your HD media player. 3. 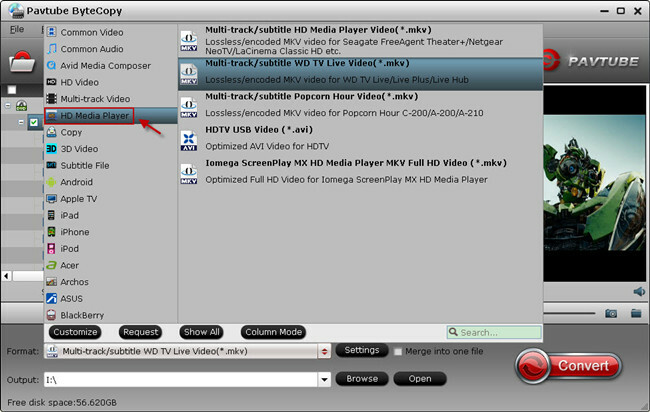 Click the “Encode” box in Video tab under Settings option, which allows you to encode BD/DVD movie to MKV with H.264 codec. Then switch to Audio and Subtitle tab to remove unwanted audio tracks and subtitles. 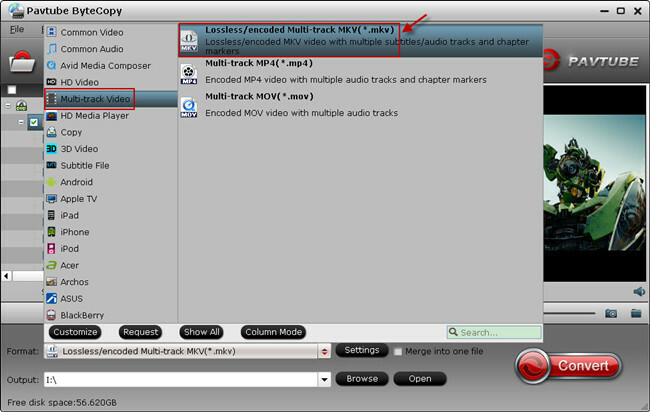 Start the BD/DVD to MKV encoding process by hitting the “Convert” button. Once it completes, open output file folder to locate the created H.264 MKV video.